I found this recipe last year just in time for my Holiday baking. I wasn't going to miss out on dessert being gluten free. 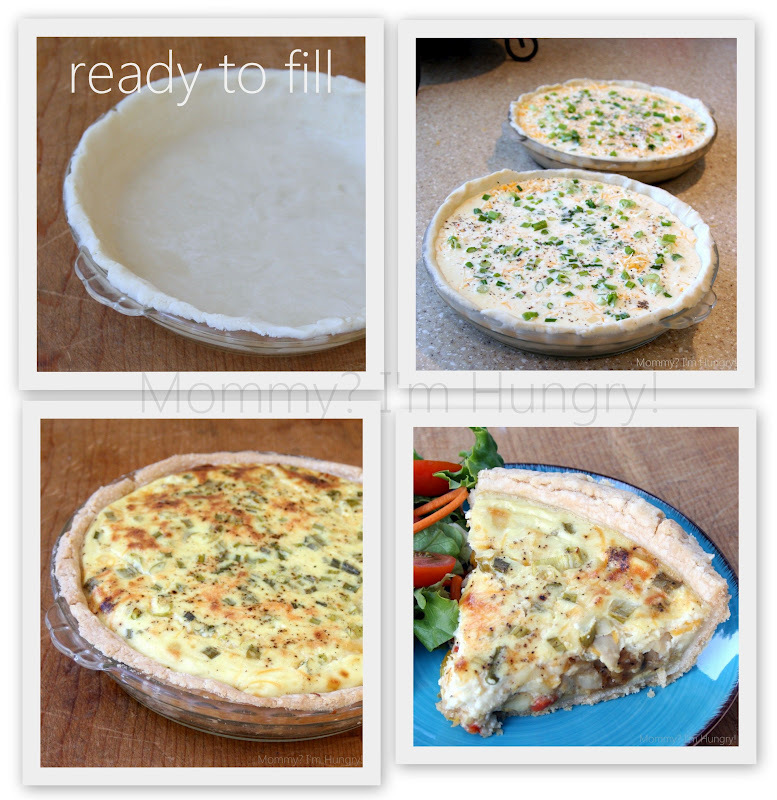 I've made quite a few pies with it already and just made it again for my quiche (with a little less sugar in it). This crust comes out pretty good, it doesn't get really brown like a gluten crust would so that's good for me (since I always seem to burn crusts). It comes out flaky and delicate and no one can tell it's a gluten free crust. I make the GF flour blend mix and keep it in a baggie in the freezer so I at least always have some to get started on a new crust or use in another recipe. Combine all really well, keep stored in a dark place. 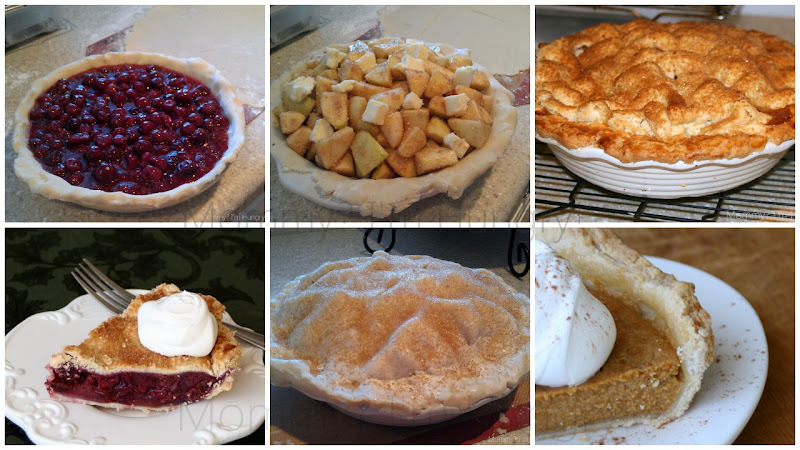 You'll use some of this for the pie crust recipe below. 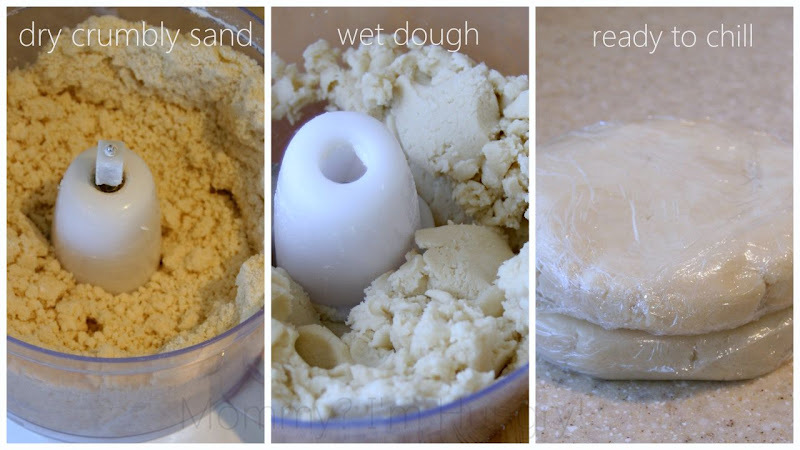 Place flour, sugar, and salt into a food processor. Pulse until combined. 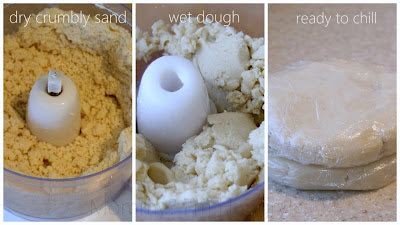 Add butter pieces to the dry ingredients mixture and pulse until the mixture looks like dry crumbly sand. Add the vinegar into the mixture. Add water a TBL at a time, pulsing into the mixture. You want to add enough to create a dough that holds together well, but isn’t wet but holds together (for me it's about 5-6 Tbl). 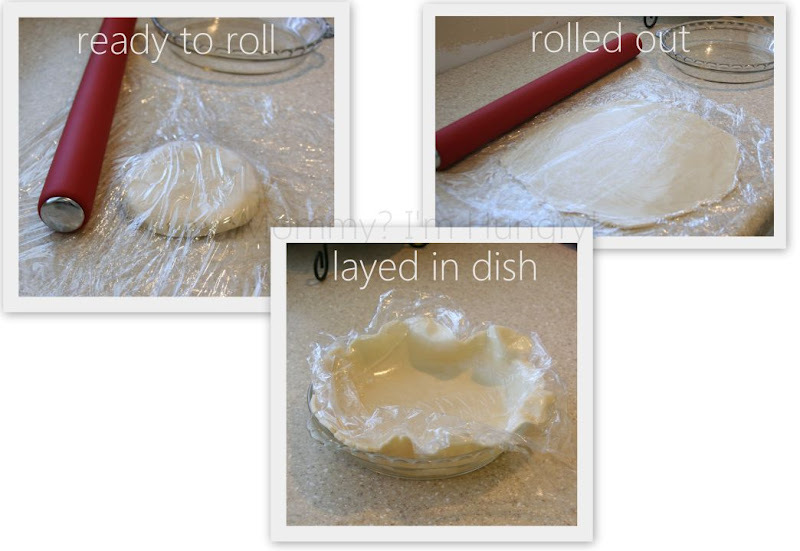 Divide the dough into two fairly equal pieces, shape into disks, and wrap each disk separately in plastic wrap. Refrigerate the disks for 20-30 minutes (or until the disks are cool and nicely firm but not hard). Prepare your rolling surface. I lay a sheet of plastic wrap down, then the dough disk and another piece of plastic wrap over the dough and roll it out between the sheets of plastic. Then I carefully pull the top sheet off and gently pick up the bottom layer with the dough and carefully lay it over the pie dish. If the crust cracks, just piece and press it together, if it's horribly cracked just reroll it. This is a very delicate crust and takes getting used to. I have not tried to lattice with this and not sure you could being so delicate. So is this flour mix what you use even for cookies, breads, pancakes, etc.? I would love to make it and store it if its an all-purpose use flour! The pre-made all-purpose mixes are so expensive! I haven't used this recipe for cookies, pancakes. I have other recipes here with different flour blends (search through my GF tag). I would use this say as flouring pork chops to pan fry, or to thicken a sauce/gravy add a few TBL...but you could and see how you like it. there are so many different blends of recipes out there on the web. I use this flour mix for anything calling for all purpose flour. It "behaves" much better than any commercial mix. All ingredients are readily available at my local bulk food store. Marj in Cardinal, Ontario, Canada.